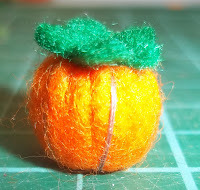 I have been working on some sewing items for a club project I will be teaching. 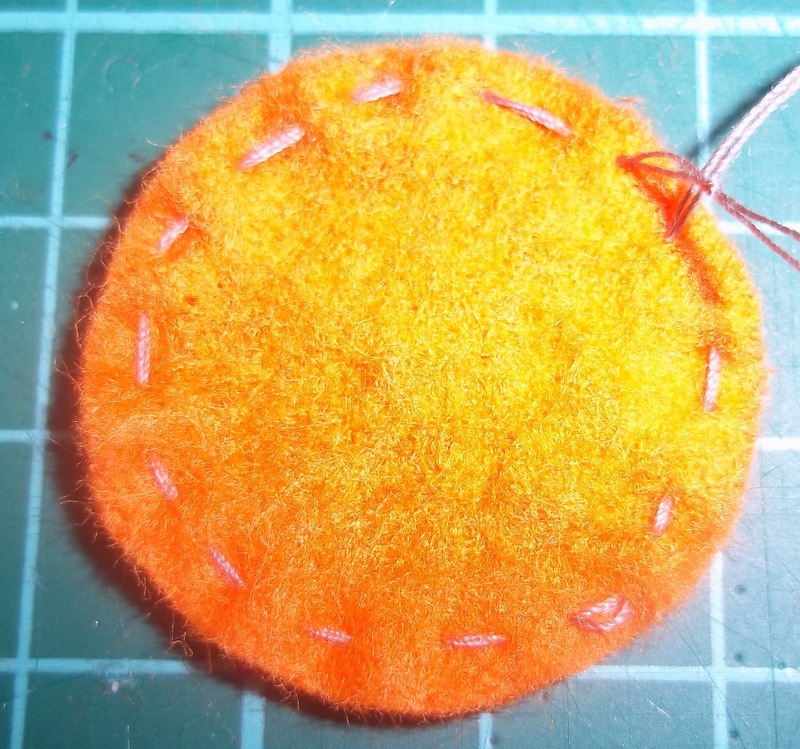 I thought I would share with you this simple method for making a pin cushion. First cut a circle of felt slightly larger than your 2p. 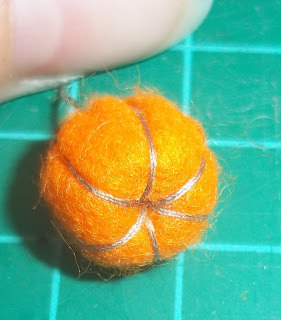 Put your pony bead in the centre of your circle of felt then pulling on the cotton gather up the edges so your pony bead becomes trapped inside. Pull the gathered edge of the felt tight so the pony bead is no longer visible. Secure the top with a few stitches. 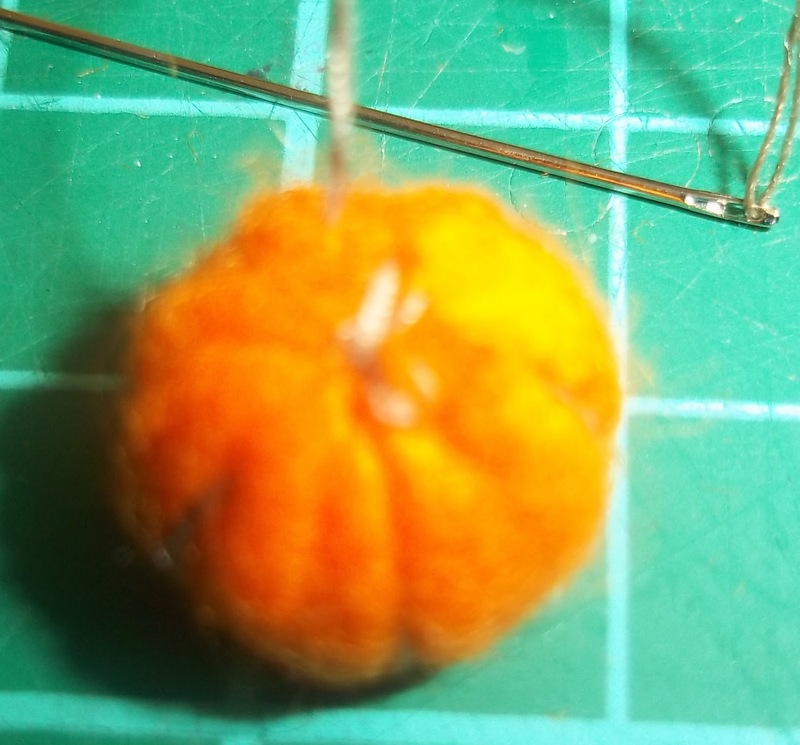 Now you need to stitch through the hole in the centre of your pony bead then come up round the outside of your cushion 6 times so the thread creates segments on your cushion. Secure the thread at the top. 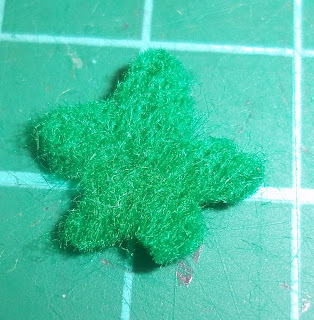 Now you need to cut out your leaf decoration, a simple flower shape from green felt. 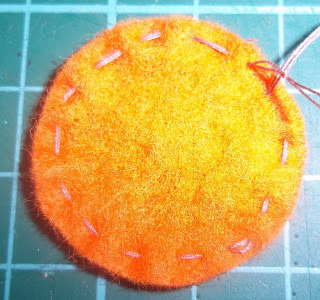 Stitch the leaf to the top of your cushion which will cover up the gathered edge of the felt. 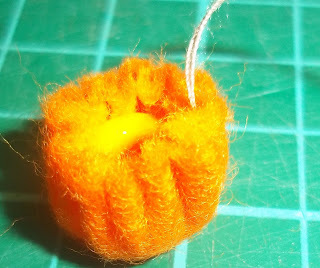 Cut off your remaining thread....and voila a finished pin cushion. You can make them in any colours you like. The only limit is your imagination. 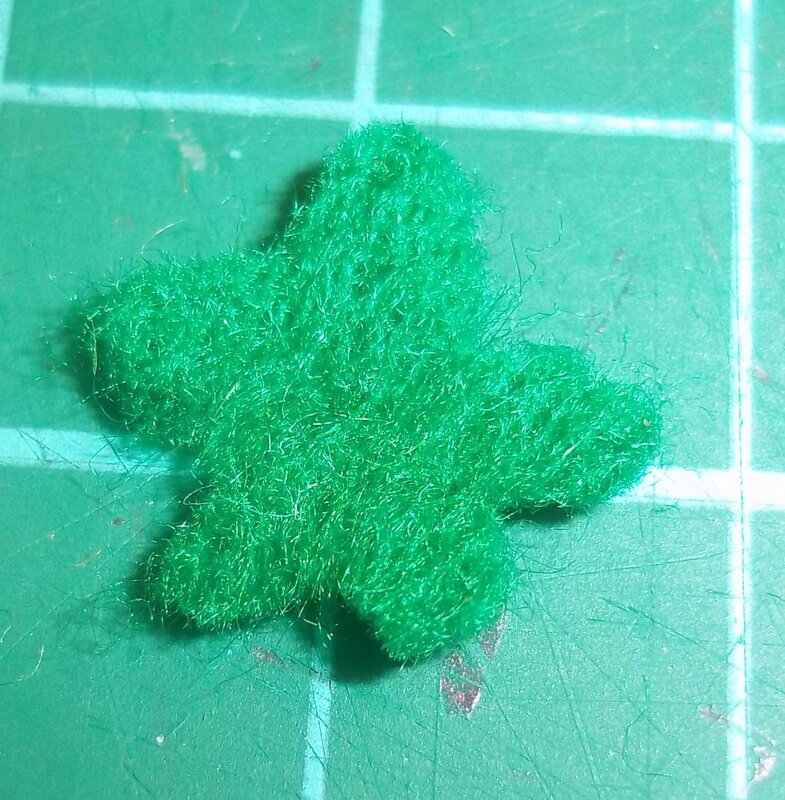 Small pieces of thin wire can be stuck into the felt to simulate pins. 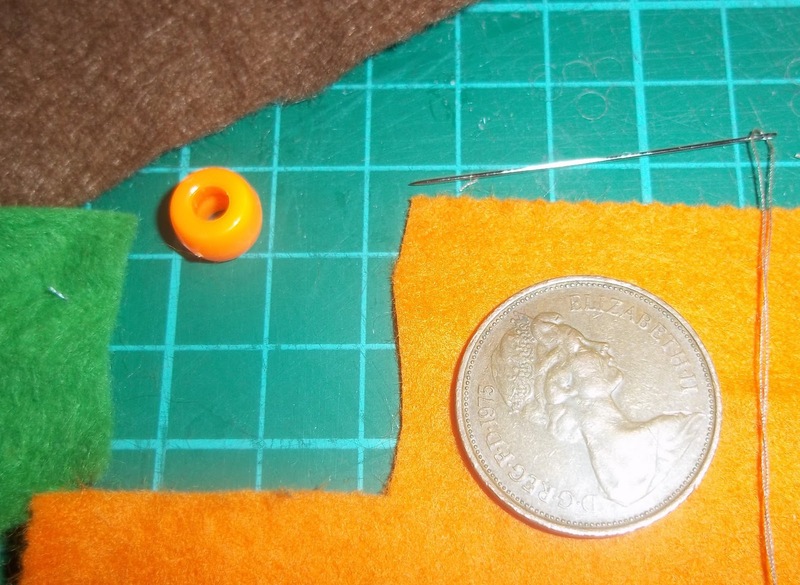 Smaller versions of the cushions can be made with smaller pony beads and thinner felt. Thanks for sharing. Even I might be able to do this sort of sewing. So cute! 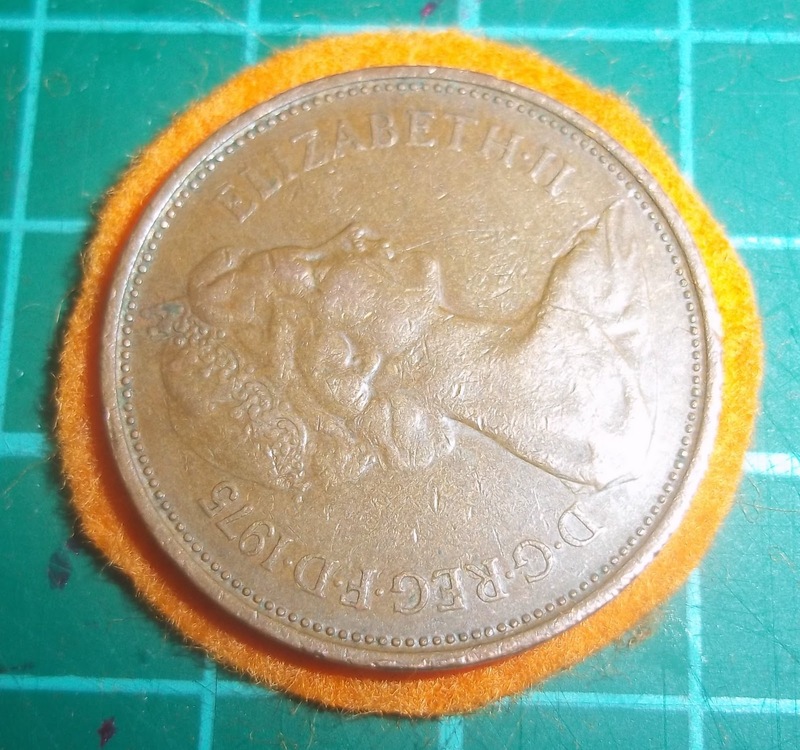 Hilda Grace has been searching for a pin cushion, now I can make one for her. Thankyou! What a wonderful tutorial! Thank you, I just might give a try! 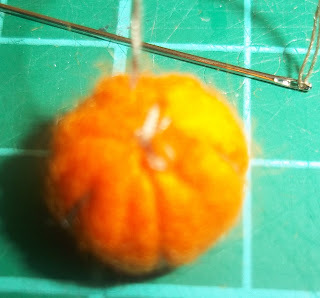 A new blog to check out!